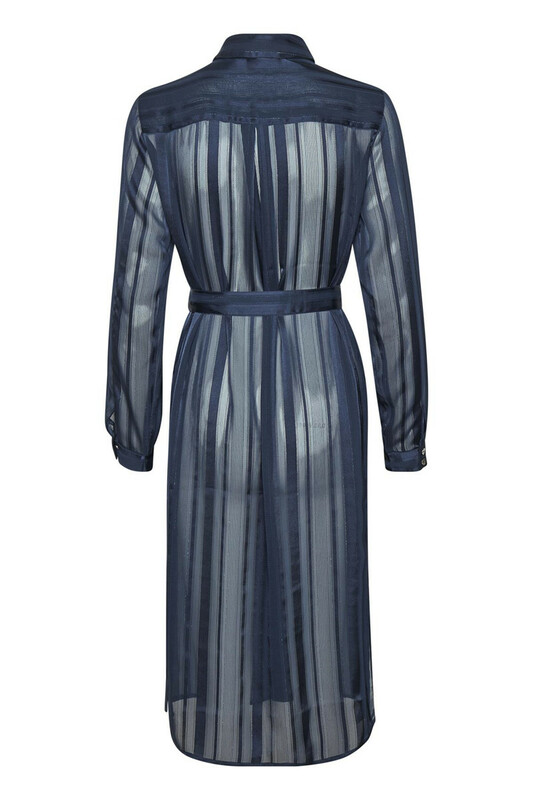 This seasons must-have from Denim Hunter must be this elegant and timeless shirt dress in a deeb dark blue colour with transparent stripes. 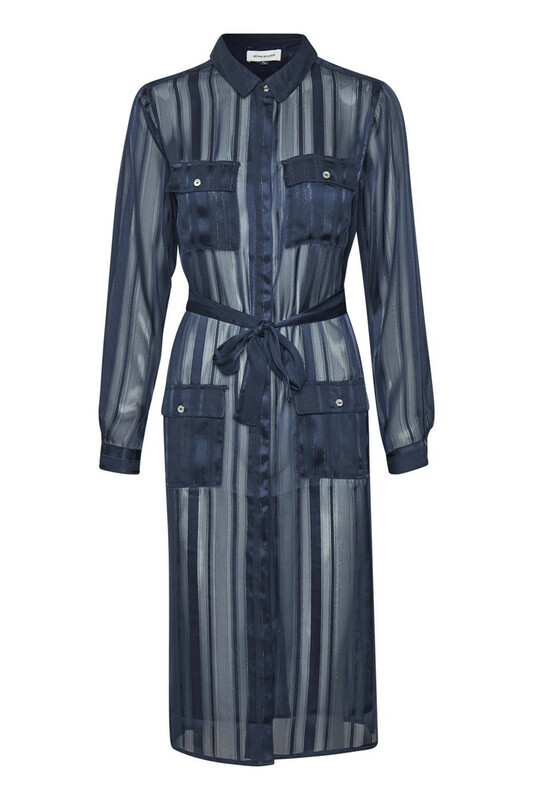 Tori shirt dress can be worn open, but you can also button up and wear it with a pair of jeans and a high heel. 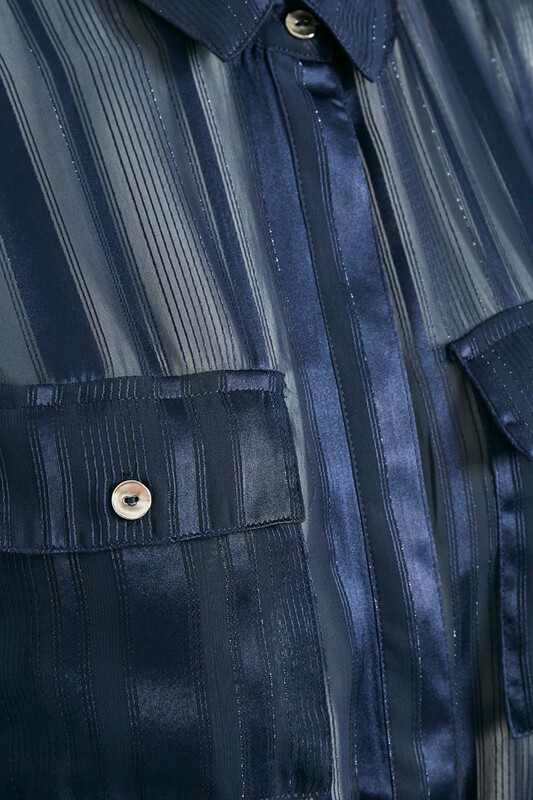 Made with four front pockets and is buttoned through.